Robin Guenther FAIA LEED Fellow is Principal of Perkins+Will and Senior Advisor to Health Care Without Harm. Robin works at the intersection of health care architecture, health and sustainable policy and participates in a wide range of leading edge advocacy initiatives while continuing to practice. She coauthored the Green Guide for Health Care and served on the LEED for Healthcare committee. 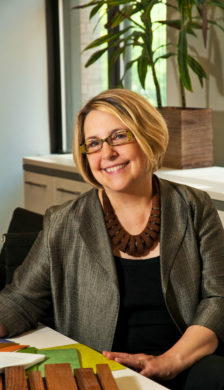 She is a Robert Wood Johnson Foundation Culture of Health Leader and the author of Sustainable Healthcare Architecture. Healthcare Design magazine named her the “#1 Most Influential Designer in Healthcare” in 2010 and 2011. In 2012, Fast Company included her as one of the “100 most creative people in business.” She led one of the winning teams in the Kaiser Small Hospital Big Idea Competition. She was a TEDMED 2014 speaker. She is the Project Director for the expansion of the Lucile Packard Children’s Hospital Stanford, which opened its first phase in 2017.